​These crystal jewelry are for HUMANS to wear, not for your pets. 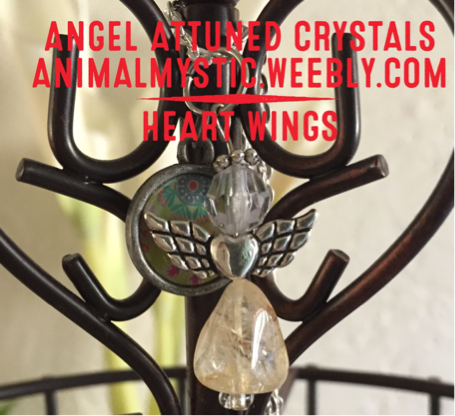 What are angel attuned crystals? These are customized crystal just for you, no one else. How does it work? I attune and ask the right angel to connect to the crystal for your highest good. Once the crystal is attuned and set, the crystal can only be used for the specified person. Each crystal is unique and never duplicated. This angel is specifically called forth to heal and work with you only. The angel stays and is connected with the crystal 24/7 for 999 days! So that means you are getting a continuous healing all day all night when you are near the crystal. The angel is channeling healing energy through the crystal. The angel crystal never has to be cleared of yucky energy because the angel is keeping away any energy that is not for your highest good. The angel crystal does not absorb negative energy like other ordinary crystals. Do not be fooled by the size of the crystal, it's the angel that's connected to the crystal that's doing all the healing. 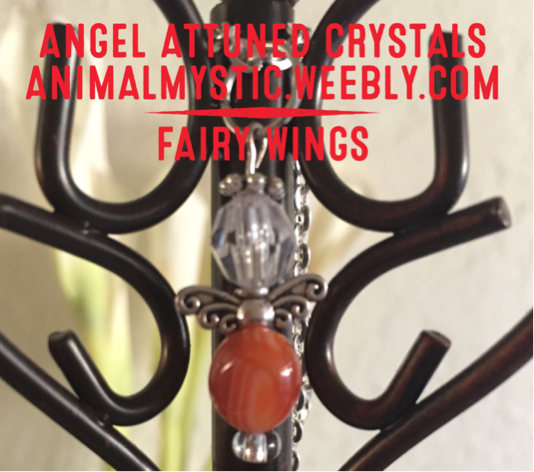 You don't have to do anything with the angel attuned crystal. All you need is to be near it whether you wear the necklace or have it in your pocket or hang it where you hang out the most to get the benefits. It's that EASY! You can request an angel attuned crystal necklace for a loved one, I just need their first name. If you would like one for your pet, go to Personalized Angel Pet Crystal section on the left side of the webpage. I am INTUITIVELY picking the crystal and attuning the crystal that is currently what you need right now. Only certain crystals can go with certain themes. For example, sodalite would not be used for self love or pink quartz as a grounding crystal. What does work is citrine is attuned to prosperity or black jasper for safe travel for instance. Only one theme can be attuned to each crystal. Crystals subject to change depending on what you need. I will put down on a piece of paper which crystal you need at this time when I send the crystal necklace. There are several crystals to choose from (I am intuitively picking for you). ​Also 17 themes for YOU to pick. Pick one theme only. 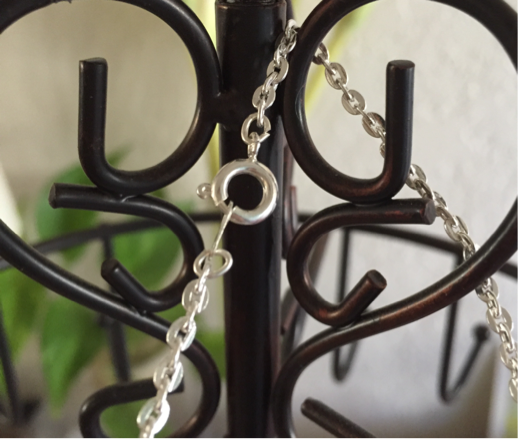 These angels can be put together with your other charms or layer it with other necklaces. They look great with everyday casual wear such as sundresses or shorts. These necklaces can also be hung in your office or home or car or put under your pillow or in your pocket. The possibilities are almost endless. For me, I've attuned 10 crystals already so I am always having one of the angel necklace wherever I go or under my pillow. They have helped me shed my old self layer by layer. I'm still a work in progress but these angels have helped me be happier and love myself more. They also help me to think bigger and be more creative. I never thought I would ever be able to make jewelry and always thought being crafty is for someone else. But here I am having fun being crafty and having another monetary avenue that I would never have chosen if I didn't have the angel attuned crystals in my life. I hope these angels will help you tremendously too! 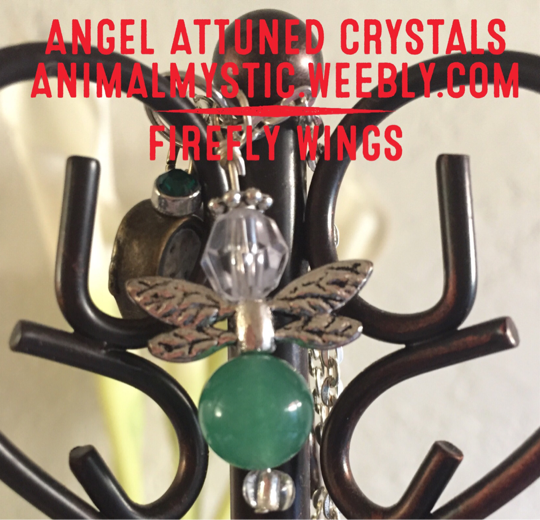 That is my wish when I offered these angel crystals on my website. Now back to some housekeeping notifications and instructions below. Read carefully. Shipping only within the USA. S&H&T included in price. Takes 3-5 business days to ship. ​Angel attuned crystal necklaces come in an angel/winged figure and on a nickel free necklace. Necklace is 18 inches. Each necklace might look similar but each one will be unique. They come with different charms so be aware they won't exactly look like the ones in the pictures. I want the necklaces to be unique to match the one of kind angel that's connected to the crystal. Size and color of crystals and charms may vary. Crystal size vary from 8mm to 10mm. 1) Email me at daisyreikimaster@yahoo.com if you have any questions and to tell me which theme you would like. I will send you a Square invoice through your email and you can pay with a credit card. No login required. It's easy to pay! 2) Please give me your or your loved one's first name in your email so I know who to focus on to attune and ask the right angel to connect to the crystal.  Thank you!! 3) If you would like, I can intuitively check to see which theme and crystal will be best for you or loved one. I am intuitively choosing the crystal for you at this time that you need. 1 Angel Attuned Crystal is $32.00 US dollars. ​Disclaimer: I am not a medical professional or doctor or veterinarian. I do not diagnosis, prognosis or treat any symptoms, conditions or diseases. This Reiki session is not a substitute for medical treatment. Reiki is best as a compliment to medical treatment. Please seek medical help and treatment as needed. These necklaces are not to replace or substitute for medical treatments.